A natural acoustic portrait of American Folk, Country, and Bluegrass standards by two virtuosos. Jerry Garcia and David Grisman's Shady Grove is filled with endearing joy and spirited playing. Garcia began recording with longtime friend David Grisman during the last decade of his life, marking a full-circle return to the roots fare he originally performed before co-founding the Grateful Dead. A Natural, Acoustic Portrait of American Folk, Country, and Bluegrass Standards by Two Virtuosos: Jerry Garcia and David Grisman's Shady Grove Filled with Endearing Joy and Spirited Playing. 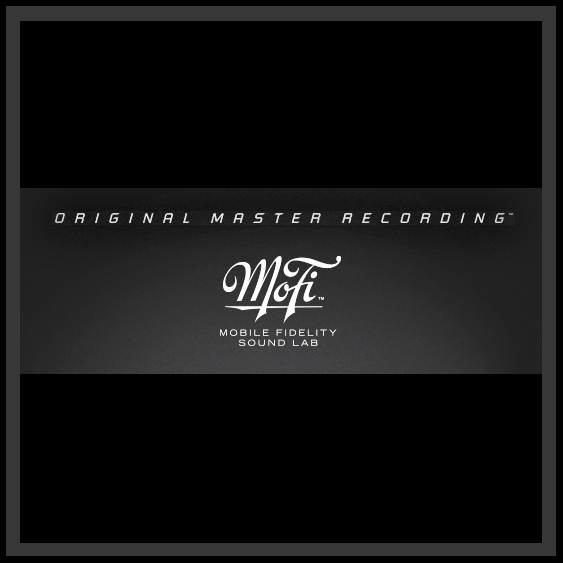 Mastered from the Original Master Tapes and Strictly Limited to 3,000 Numbered Copies: Mobile Fidelity 180g 2LP Set Sounds Incredibly Realistic, Features Deluxe Booklet in Gatefold Jacket. Jerry Garcia began recording with longtime friend David Grisman at the beginning of the last decade of his life, the refreshing excursions marking a full-circle return to the roots fare the white-bearded virtuoso originally performed before co-founding the Grateful Dead. Garcia's dalliances with Grisman also served another equally important purpose given they provided a much-needed outlet from the demanding pressures, schedules, and business affairs associated with his main band. The endearing joy, contagious enthusiasm, and free-spirited playing on Shady Grove attest to the collection serving as not only the finest musical snapshot of Garcia's final years, but among the best of his storied career. Mastered from the original master tapes, available on vinyl for the first time, and strictly limited to 3,000 numbered copies, Mobile Fidelity's 180g 2LP set presents the 1996 collection in exquisite sound. Originally recorded at Dawg Studios between August 1990 and June 1993, Shady Grove bowed as the first release of Grisman-Garcia collaborations in the wake of the iconic guitarist's August 1995 death – and remains, by way of its genre-specific organization, a passionate albeit naturally relaxed portrait of folk, country, and bluegrass standards that provide the foundation of American songbook. To experience it all in such brilliant fidelity is to pull up a chair at the sessions themselves and enjoy a transparent view into lasting tradition and instrumental virtuosity. Entirely unplugged, the material emerges in three-dimensional detail on this very special audiophile pressing, the wooden tones and organic textures unfolding with wondrous openness, ease, and realism. Nothing is forced, brittle, or exaggerated. What you hear is on par with the acoustics you'd encounter at a world-class hall. Garcia and Grisman's clean, rustic picking on guitar, banjo, mandola, and mandolin harbors a rare intimacy mirrored by an equally uncommon chemistry evident by the seamless interplay. These traits remain in tact even when the soul mates are occasionally joined by pals such as Jim Kerwin (acoustic bass) and Joe Craven (fiddle and percussion). Garcia's singing, replete with the slight, graceful, dignified shakiness that forever defined his deliveries, comes across with utmost purity and transparency. Emotions and eagerness pour over every note. At the end of several tracks, Garcia and company exchange remarks and laughter – all indicative of the camaraderie, looseness, and spirit that carries through each tune here. "Jerry and David's performances of these traditional folk songs and ballads reconnect us all – folk singers, Deadheads, university students, hillbillies, country and western musicians – with the America [poet Kenneth] Rexroth wrote about; that [Carl] Sandburg wrote about; that the cynicism of American wars and politics, culture wars and culture politics just couldn't destroy." Indeed, the versions of barn-dance tunes ("Shady Grove"), jug-band standards ("Stealin'," also performed in the early days of the Grateful Dead), Delta ballads ("Louis Collins"), Civil War era fare ("The Sweet Sunny South"), and campfire songs ("Down in the Valley") here astound with depth, soulfulness, and warmth. Deadheads will also find Garcia and Grisman putting a spin on two more tracks – "Casey Jones" and "Jackaroo" – long part of the iconic group's repertoire. 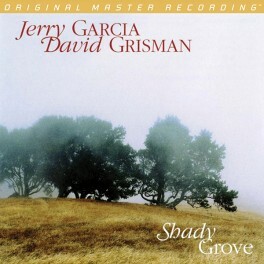 In countless ways, Shady Grove is not to be missed, particularly on this unsurpassed pressing.